Tweaks and changes are constantly being made in Anthem, though one of its more recent changes turned out to be be a bit controversial. Some players have discovered that it is a bit harder to get their hands on rare loot. Anthem Lead Producer Ben Irving recently took to Reddit to confirm that BioWare did intentionally lower loot drop rates, but the reason for doing so is a little surprising. Irving noted that that many changes made on February 22nd (Anthem’s launch day) had some unintended side effects. One in particular was that drop rates actually increased. As soon as the team noticed this, it went and reverted drop rates to what they were before. Irving said the whole ordeal lasted about eleven hours, though naturally it took longer for players to notice what was happening. 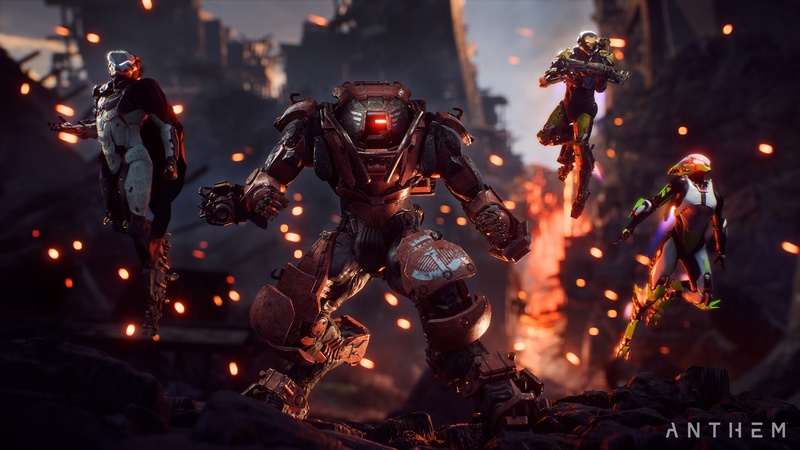 The move was not without controversy, as many had thought this move was the developers intentionally making Anthem “more difficult.” However, it seems that the current drop rates what what BioWare had planned all along, for better or worse. It’s certainly not the first change to come to Anthem, and it certainly won’t be the last. EA and BioWare already laid out a roadmap for Anthem’s life in the months to come. We already know of a new mechanic, vanity chests, as well. If you’re still learning the ways of Anthem, we have a variety of tips and tricks to help you be the best Freelancer you can be. What do you make of this latest Anthem controversy? Knowing that the current drop rates were the intended ones, does that make the move better, in your mind? Let us know!